In the present study, the curing of brominated polyisobutylene-co-p-methylstyrene (BIMS) using OO-tert-Butyl O-2-(ethylhexyl) monoperoxycarbonate (TBEC) was prepared for low gas permeability applications, and were evaluated in the presence of various coagents. 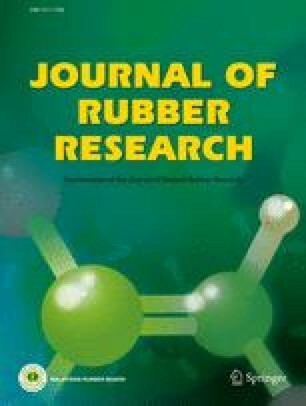 The amount of the coagent used in curing the butyl rubber directly affected rheometric and mechanical properties of the final product. BIMS was found curable by TBEC in the presence of N,N’-m-phenylenedimaleimide (MP) and the crosslinking density (v) were positively correlated to MP content. The mechanical strength and gas barrier properties were also improved upon the increased crosslinking density in BIMS. The peroxide based cured BIMS materials were demonstrated as improved gas barrier properties than the sulfur cured one. Hence, the development of peroxide based vulcanisation may offer an alternative method for the processing of low gas permeability of BIMS.